When my husband and I had been dating for a few years (around 15 years ago!) he planned a trip to the U.P. to visit family and to stop in Paradise, Michigan for some bird watching. The area is beautiful and is known as a great spot for birds, so we had a day and night in the area. Unfortunately we had a drizzly rain and heavy fog the entire time we were there! 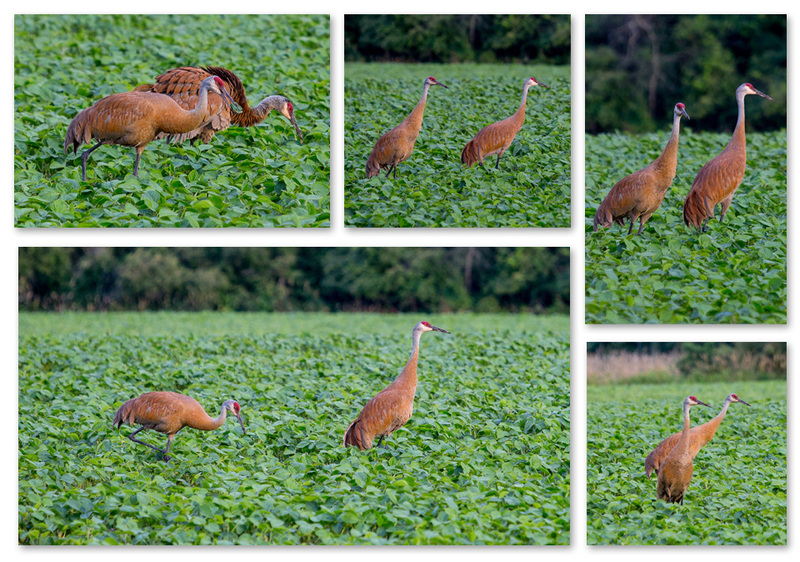 We left paradise and headed through the Seney National Wildlife Refuge where we stopped on the side of the road to take pictures of 10 Sandhill Cranes. It was the first time I had ever seen the large beautiful birds and fell in love. Since then I love any chance I have to see these birds migrate north through the area. 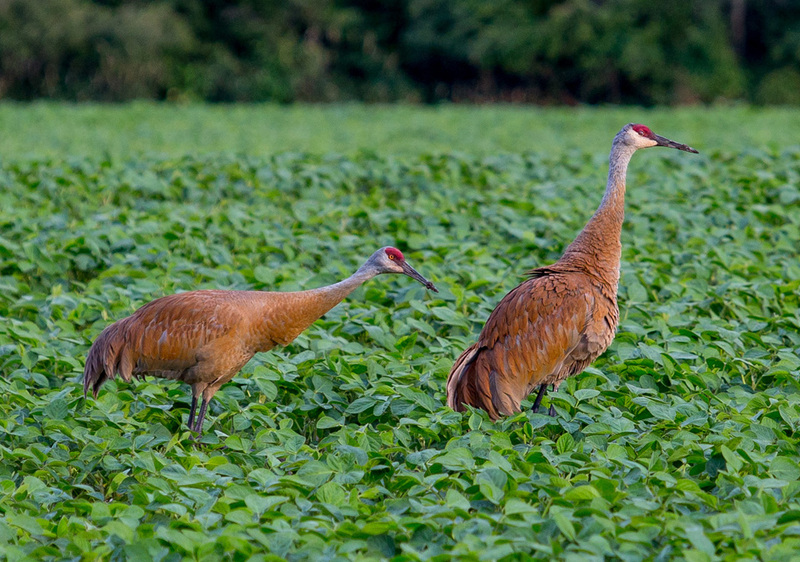 This year they seem to have stuck around a bit longer and I caught this couple in a soy bean field less than a mile from our home. I hope you enjoy these beautiful birds as much as I do!